At Elmridge primary school we are fully committed to the safeguarding of our pupils and eSafety is of paramount importance. With the ongoing support of you as parents, we aim to educate our children to make the right decisions to keep themselves safe online. 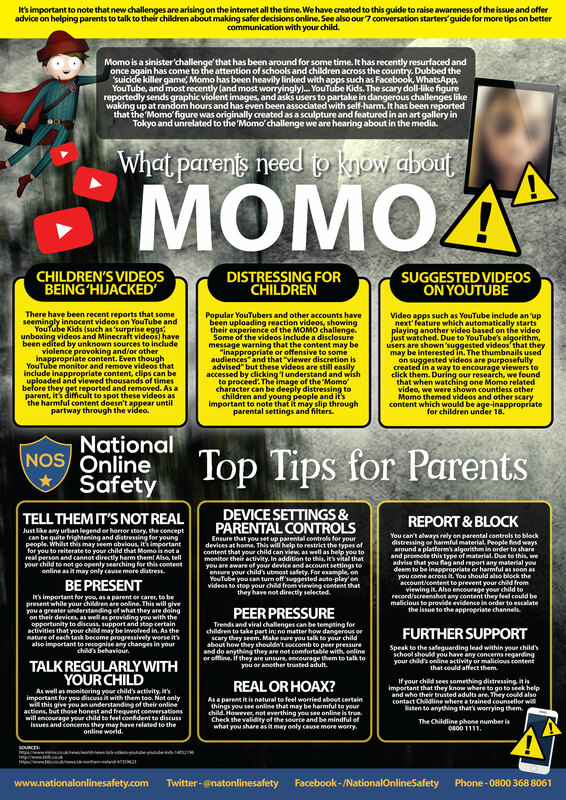 Throughout the year we offer a range of support to parents on the subject of eSafety through talks, information on our website and general updates. ESafety is an intrinsic part of our computing lessons and at any time the children access technology. Click here for the Esafety policy. Encourage your child to use ‘Safe Search’ search engines. All the links below have stronger restrictions. Know and understand which apps your child is using. Keeping children safe whilst playing Pokemon Go. www.childnet.com– An organisation working directly with children, parents and teachers to ensure that the issues of online child protection and the safe and positive use of the internet are addressed.